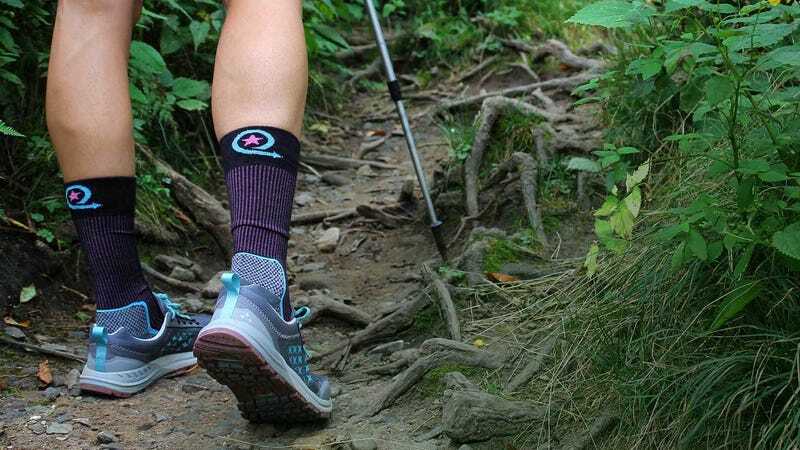 They are little but mighty; hiking socks are the first line of defense against blisters, hot spots, and generally uncomfortable feet while on the trail. 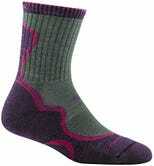 If you choose wisely, socks will keep your tootsies dry and friction-free no matter how far you hike. But which to choose? Most of the options below are made from merino wool, a natural fiber that comes from Merino sheep. It’s thinner and softer than standard wool which means you get the odor-and-sweat wicking properties with a heckuva lot of comfort. 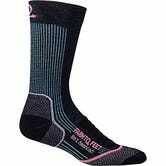 Merino socks are also pricier than basic cotton socks, clocking in around $20 per pair, but the price increase is worth it for the added comfort on the trail. In recent years, Darn Tough has taken the lead as the go-to option for merino socks, and for good reason. The Light Hiker is made from 60% merino blend and the light compression provides the best fit for your fit. They’re just darn comfortable. The thinner materials mean this sock dries quickly and doesn’t bunch in your shoes, so it’s a good pick for higher-cardio activities. Of course, the drawback is that they aren’t super warm, so you’ll need to look elsewhere if you’re heading out in a winter blizzard. Bonus: Darn Tough’s lifetime guarantee. You’d be hard-pressed to find another brand who is more synonymous with socks. 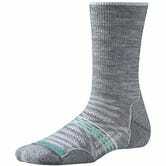 Smartwool’s Light Crew is a great pick thanks to its light cushioning and bonus durability. The PhD line is known for comfort combined with a dialed-in fit, and these socks are no exception. They are 56% merino and offer three thickness choices: ultralight, light and medium. The varying thicknesses means they breathe uber well, even underfoot where feet can get excessively clammy. Sure, they can stink after awhile, but don’t all socks? Okay, I realize toesocks may be controversial, but hear me out. The Original Weight Crew is made with 43% NuWool so they breathe well and dry quickly, just like a standard-looking sock. Obviously, the toes are where this sock differs. According to the brand, when toes are separated, your entire foot aligns properly and activates during physical activity. I’m not sure if this is true, but I do know that these socks prevent blisters between the toes. If you are someone who frequently gets hot spots between your first and second toe (like me! ), these are the best line of defense no matter how far you are traveling on the trail. If you want your feet to be carefully swaddled in American-made items, Farm to Feet is your jam. While many other brands make their socks in the USA with materials sourced elsewhere (like New Zealand wool, for example), Farm to Feet’s entire supply chain comes straight from the good ol’ US of A. Made with 51% US merino wool, the Damascus has carefully-placed cushioning and light compression that ensures a snug fit that doesn’t slip and slide. It is also offered in a quarter-length model if you want a shorter sock. If you think spending $20 or more on a pair of socks is downright crazy, Wisconsin-based Wigwam may be your favorite. These ring in at $16, which is a bit less than the others on this list. But, just because they are a good value doesn’t mean they don’t perform. The 67% merino wool means these breathe relatively well and dry quickly, but they are thicker around the foot so the fit isn’t quite as tailored as the other options and they frequently bunch. But, if you are having a mellow day on the trail or just hanging out at camp, these are a screaming deal.